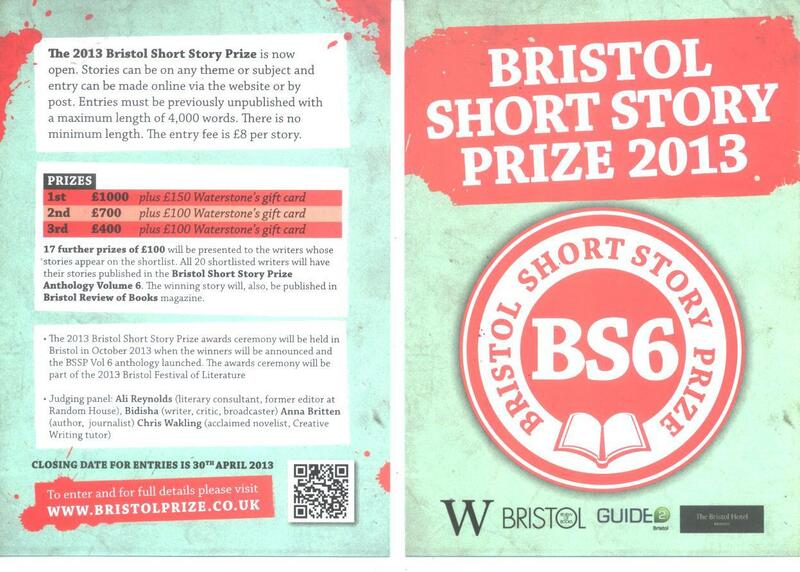 Inaugurated in Bristol, England in 2007, the Bristol Short Story Prize was created by the editors of the Bristol Review of Books (a quarterly magazine – and yes, that’s a lot of Bristols). I learned about the prize thanks to RobAroundBooks. Their goal is to… actually, they put it so well I’ll just let them tell you. Here’s the list entitled “Our Aims” straight from their website. To publish a brilliant short story anthology every year, full of fresh and original writing, and to get it stocked in as many bookshops as possible. This includes high street chains, independent shops and online booksellers. To inspire and encourage writers and readers. To discover and promote previously unpublished writers. To provide) an opportunity for writers to get published. 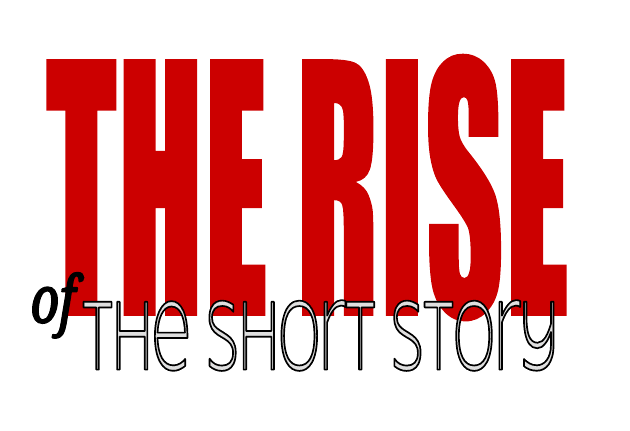 To share our enthusiasm for short stories in as many ways and with as many people as possible. To establish ShortStoryVille as a dynamic and exciting annual celebration of short stories. To inspire young people to read and write short stories through our schools’ projects. To establish Bristol as a short story centre. To raise the profile, support and raise funds for Bristol Review of Books magazine. After a little back and forth via Twitter (@BristolPrize) with Joe Melia, who is the prize coordinator, I realized I’d found the perfect person to ask to dissect the popularity, the importance and the current cultural relevance of short stories. And – lucky for us – Joe graciously agreed. the mainstream magazines that have been publishing short stories for decades like Woman’s Weekly. And all this in a country that according to publishing folklore doesn’t give a hoot about short stories. shown just how many people there are who really do want to read short stories. of what happens when a story works for you as a reader. Or the writer Elizabeth Taylor’s observation that the mighty Alison Macleod often quotes: “the short story gives the reader the feeling of “being lifted into another world, instead of sinking into it, as one does with longer fiction” “. whiz through it and it will blow my mind” then you’re going to be disappointed most of the time. stories are given equal billing. Literature Prize gang may you have the courage and the vision to do this! And then, what if the £40,000 first prize were to go to a short story collection? Now that’s a story that would definitely detonate! Joe recommends: Battleborn by Claire Vaye Watkins; Aerogrammes by Tania James; This Isn’t the Sort of Thing That Happens to Someone Like You by Jon McGregor; My Mother Was An Upright Piano by Tania Hershman; The Stone Thrower by Adam Marek. And I recommend any of the Bristol Short Story Prize Anthologies (good news for those of us in the U.S.A. – there’s free worldwide postage and shipping). Thanks Joe, for taking part! If you know me, then you probably know of my obsession with podcasts. The latest and greatest being the Three Percent Podcast, hosted by Chad Post from Open Letter Books and Tom Roberge from New Directions. I couldn’t give you a reason why I like listening to these guys – other than the great recommendations for translated lit and their knowledge of random (and frightening) facts: such as the Power Rangers have been around for at least 13 seasons (actually 19). Chad’s baseball enthusiasm cracks me up, Tom comes off as a bit of a misanthrope which I find even funnier. Together they’re just a great team. I encourage you to listen to them. 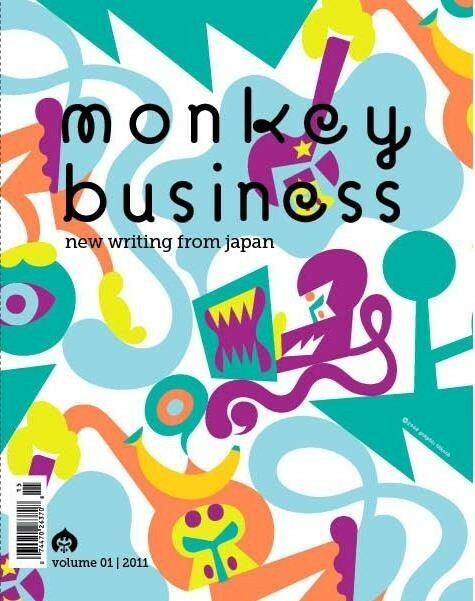 One excellent recommendation they made was the Japanese literary magazine Monkey Business. The title comes from an old Chuck Berry song. It’s an editorial collaboration between Motoyuki Shibata (editor of the Japanese edition) and Ted Goossen (who translates of 9 of the 14 stories collected in Volume 01). You can purchase a copy through A Public Space ‘s website. I think for most readers the immediate draw will be a 2008 interview with Haruki Murakami, conducted by the Japanese novelist Hideo Furukawa. But the short stories, poetry and haikus – many involving monkeys – will hook the adventurous reader. These Japanese authors are incredibly visceral, both in their subject matter and descriptions. Squeamish beware! Some of the plots border on the bizarre. Monsters, deformities, mythology and horror are all par for the course. What I enjoyed most was style in which the stories are told, which is entirely different from anything I’m used to. They made me think in new ways (if that makes sense?). I imagine repeat readings will uncover ideas and points I’d missed the first go around. As I said, Volume 1 is still available. Volume 2 (I believe) will be out Spring, 2012. If you’re looking for an overview of or a quick introduction to Japanese literature… or just something out of the norm… Monkey Business is a good place to start.